Lights4fun approached us with an awesome little project that we simply could not turn down. Already having great branding in place, it was time to experiment and create some sub-brands for their more premium products. With some fantastic products at their disposal, the ‘Ingenious’ range contains a brand new lighting belt with 5 sets of bulbs to choose from. 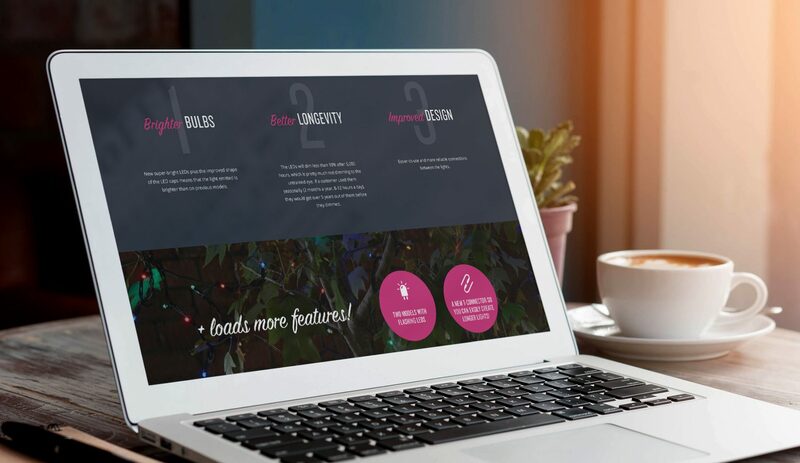 With the product glowing, it was ready for a new home on their website away from the other party lighting they have on offer. Creating a sub-brand that sat in line with their values and was still super fun, was a brilliant brief and things are already looking spot on. Ongoing projects are coming thick and fast, the latest being the new ‘Pro Series’ range getting a makeover for the more serious lighting enthusiast. 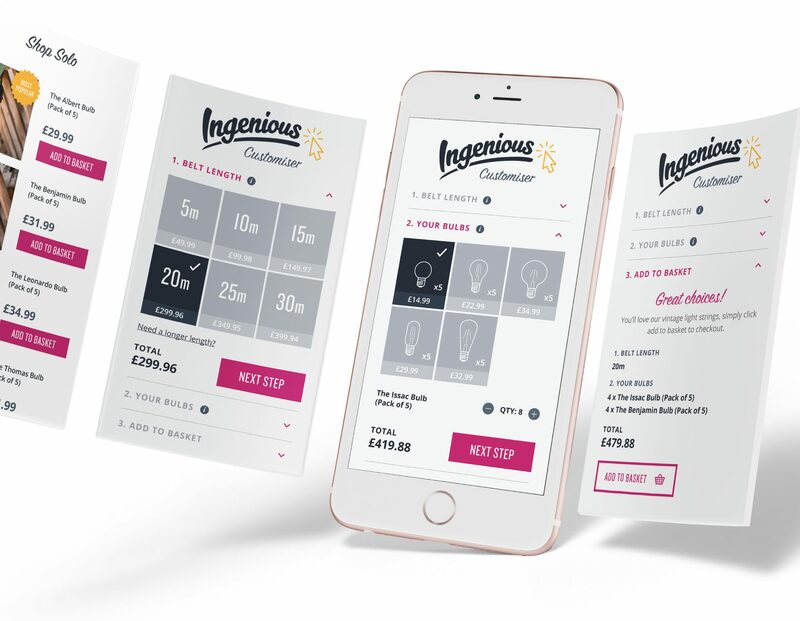 For the Ingenious range we set out to build a brand that encompassed the fun element of Lights4fun, whilst still appealing to home lighting enthusiasts and event companies alike. 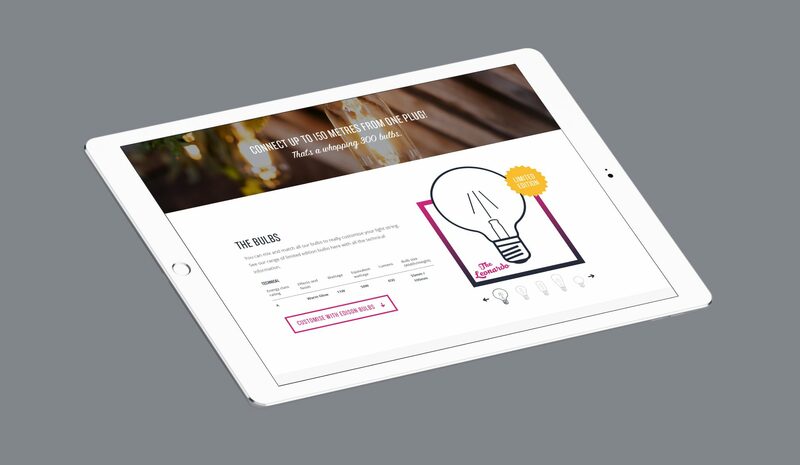 Looking to provoke a shift in consumer behaviour and build excitement around a fresh and unique product, we created a light string customiser making it possible to create your own combinations of bulbs and differing lengths, making it easy it to get a personal and custom fit solution. With the look & feel of the new sub-brand established it was now time to give it a new home on the Lights4fun website. With it being such a new & innovative product, we needed to showcase all the features it has to offer as well as implementing a great UX for shoppers, as you scroll down the page you are greeted with all the information needed to fully understand the product and it’s uses. A huge part of this product’s offering is the ability to customise it to your needs & requirements. We spent a long time planning and testing this section to make sure it was simple to understand and a pleasure to use across any device. In the end we split it into 3 sections whereby the customer can first choose the length needed, then pick what bulb they’d like, finally you can refine your choices and add to basket. Along the way whenever you make a change to your order, the price changes to reflect your choices, all in all offering a great user experience. Since working on the Ingenious project, we have continued to work with Lights4fun on more exciting sub-brands and a great little project in partnership with Macmillan Cancer Support.